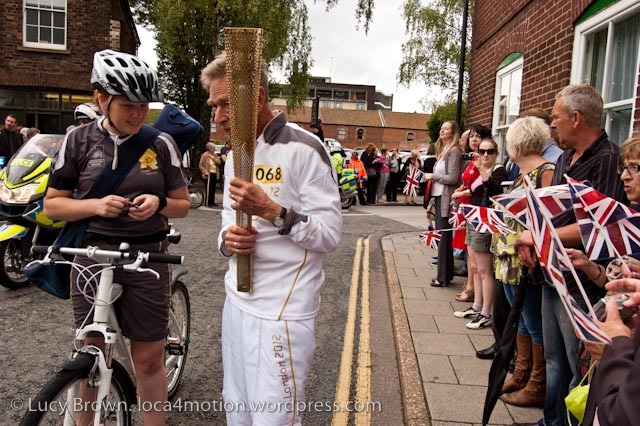 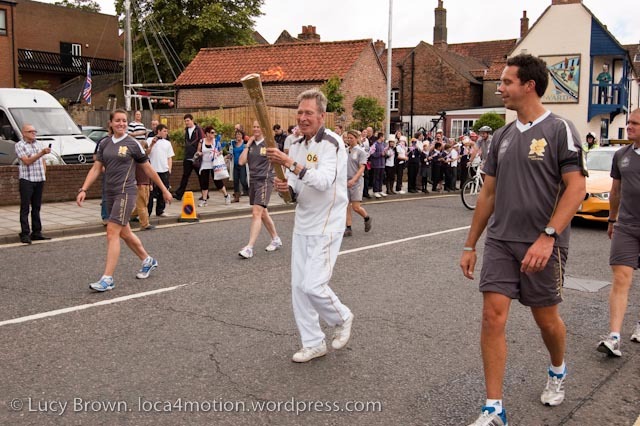 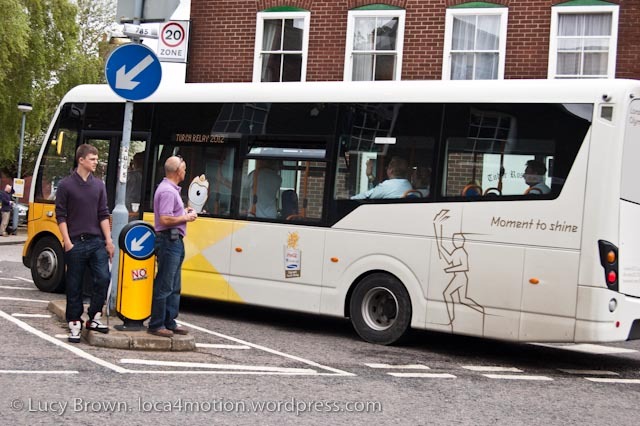 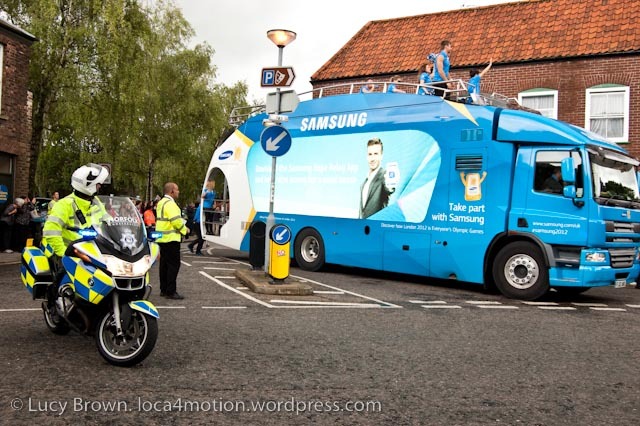 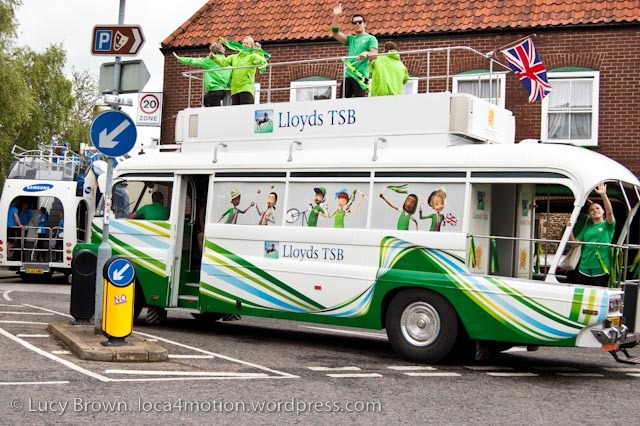 Torch in hand, swept up by the euphoria of applause and cheers from onlookers lining the streets of Kings Lynn in Norfolk, his pace quickened to almost a trot, the Olympic flame burning brightly rising up from the gleaming golden beacon held proudly in the air. 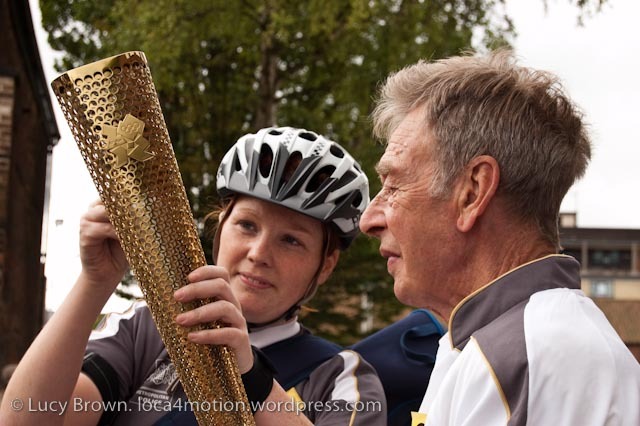 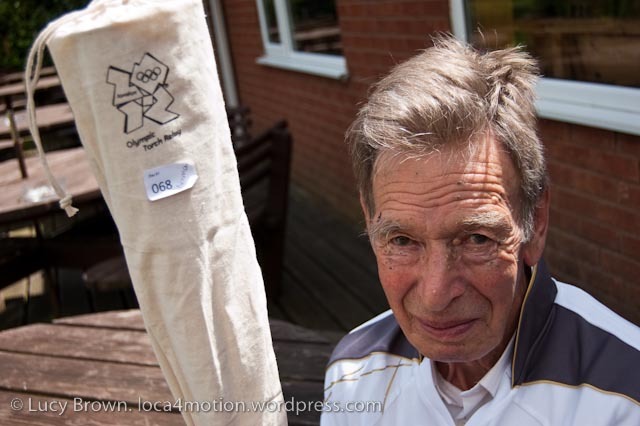 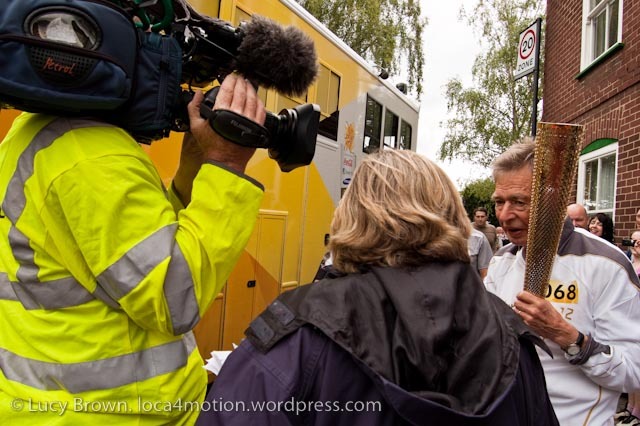 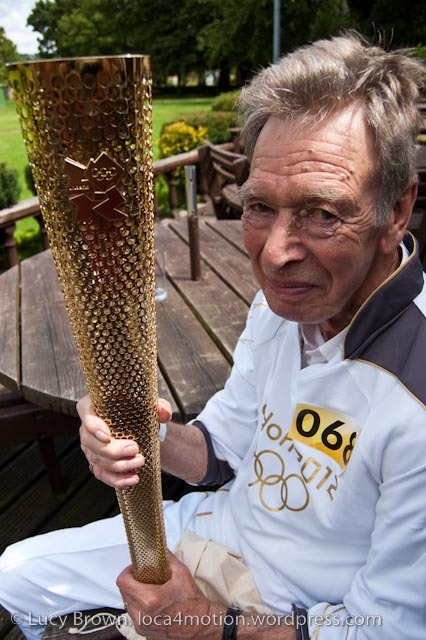 This was Norman’s moment of fame, as it was for many other Olympic torchbearers like him. 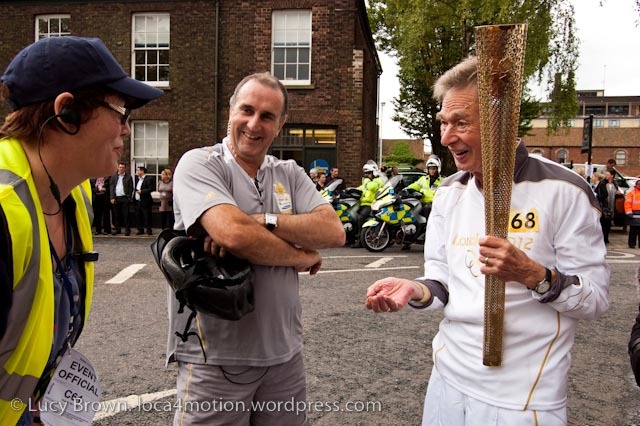 Nominated for his work in raising money for charities over the years, 74-year-old Norman South, my sister-in-law’s dad participated nervously. 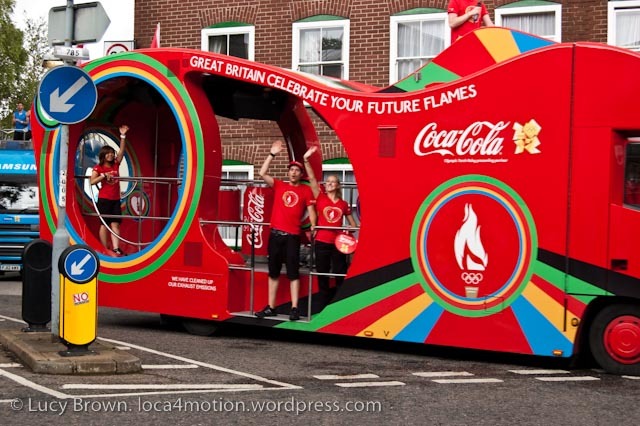 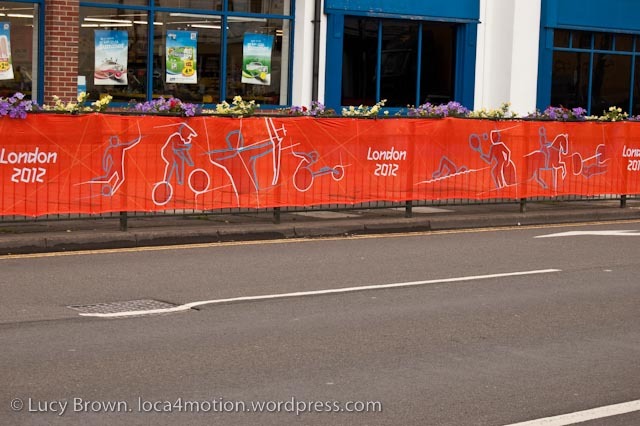 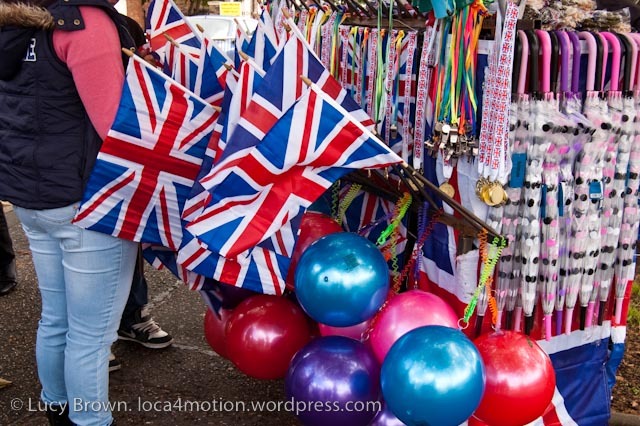 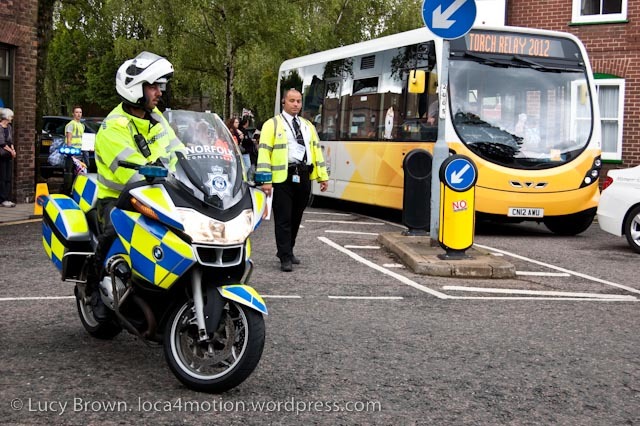 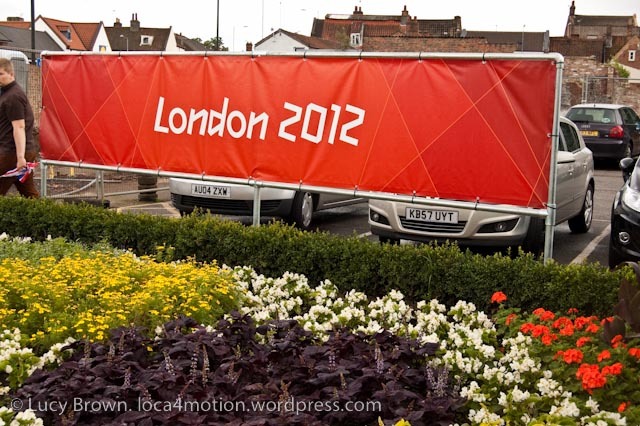 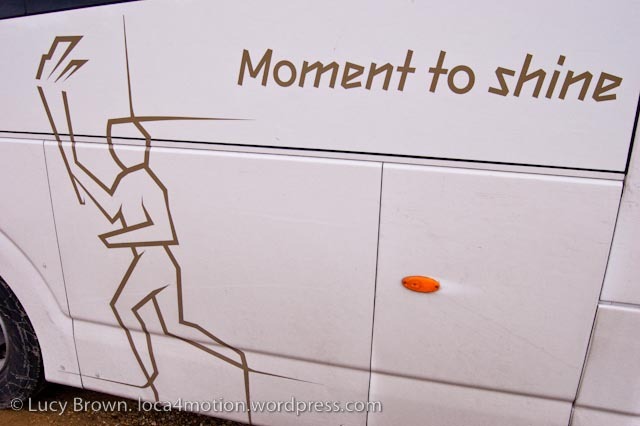 Olympic mania swept up both the patriotic and unpatriotic across the UK this summer. 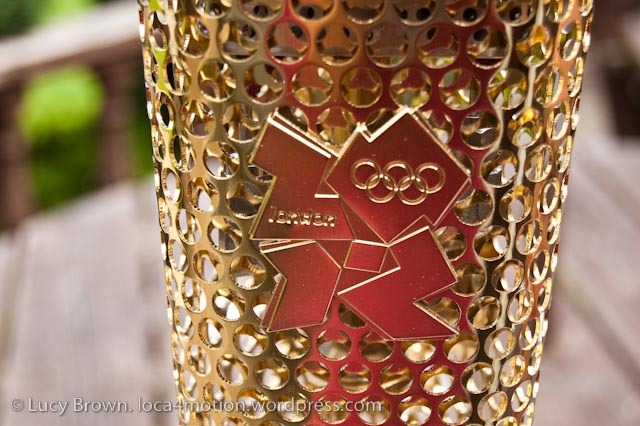 I didn’t make it to the Olympic Park in London due to pricey and limited availability of tickets, so glued to the TV screen instead, I cheered on the British Olympians. 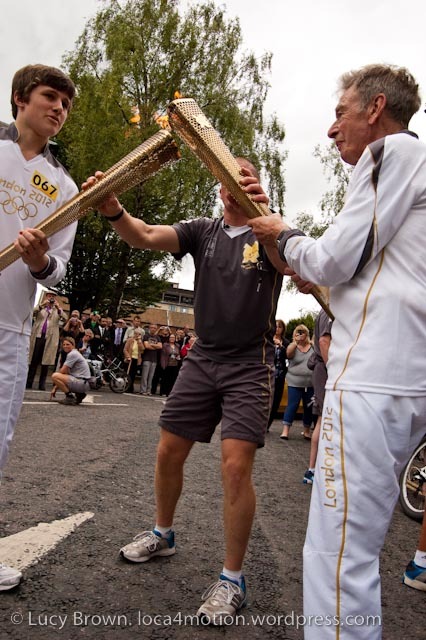 However, I did have some first-hand contact with the Olympic Games watching local torchbearers passing the flame from person to person across the country until it reached its London destination at the Olympic stadium. 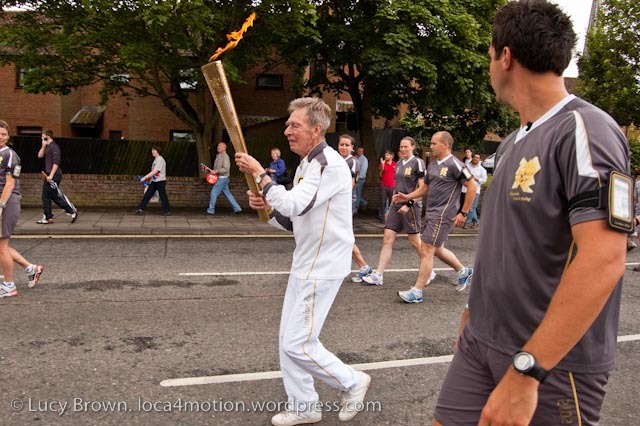 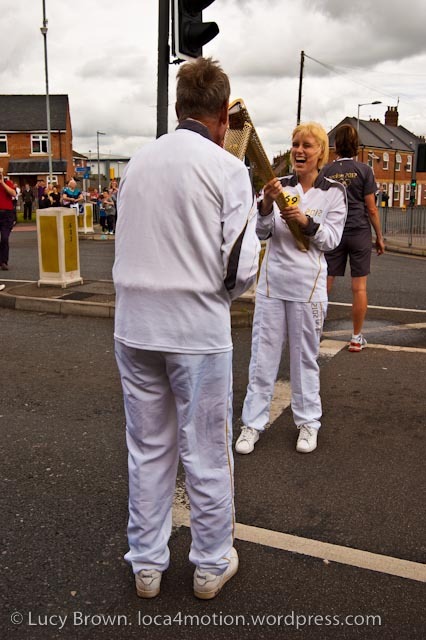 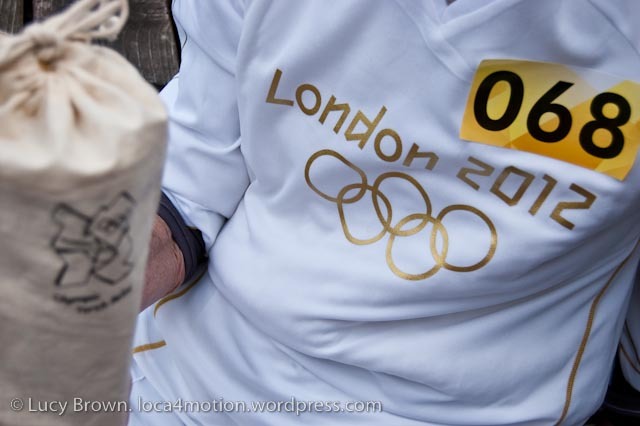 T-shirt and shorts-clad policemen, accompanied, directed and encouraged torchbearers every step of the way, guarding the replica golden torches and negotiating the smooth transfer of the precious flame from one participant to the next. 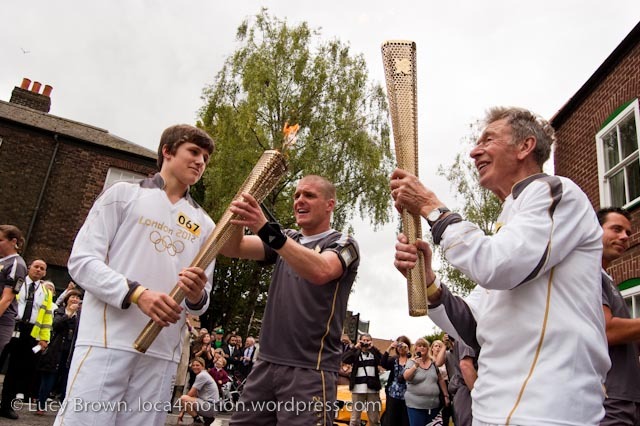 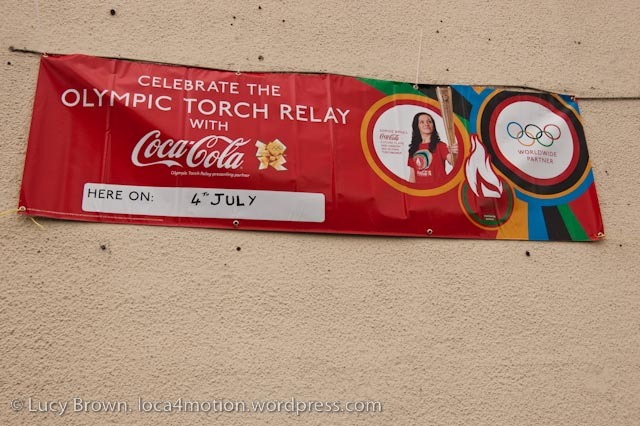 Each torchbearer lit their torch from the previous nominee’s flame, walked or ran 100 meters then passed on their flame to the next one. 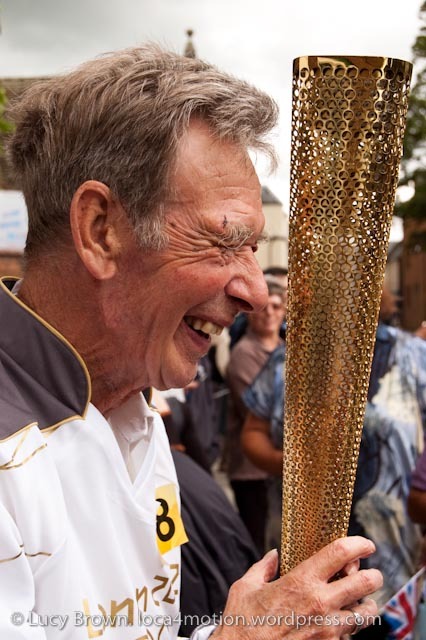 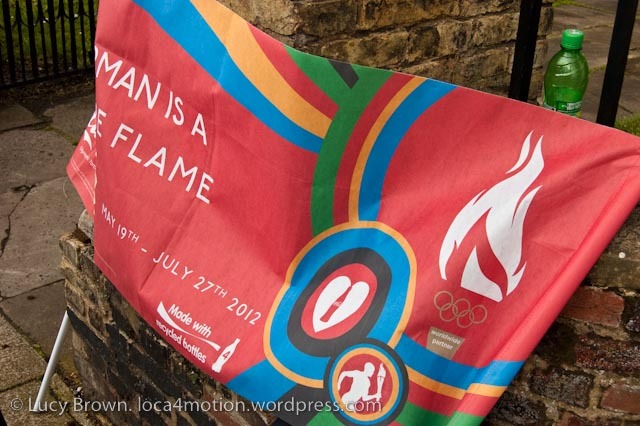 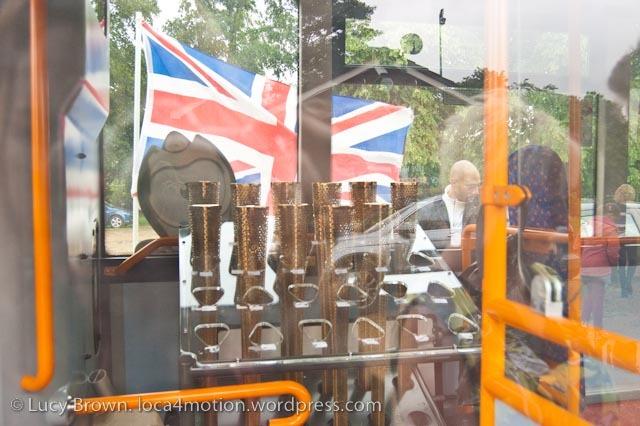 In total 8000 Olympic torchbearers participated around the UK and each one was either donated or given the opportunity afterwards to buy their replica torch as a souvenir of the historical event. 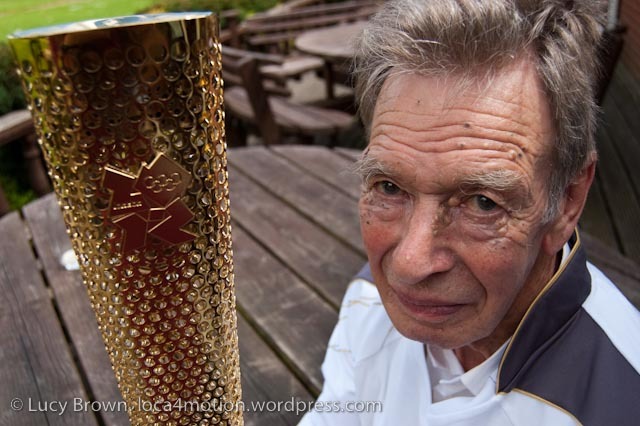 Long overdue, I dedicate this blog post to Norman!